Speaking of history, have you seen the Friends of Wyalusing Archive Blog? The Friends minutes(link) and photos (link) were found in a loose leaf notebook collection by Helen Wilkinson, FOW historian in 1999-2001. Remember 'Big Stinky'? Take a look at the photos and read the minutes. The First Spirits of Wyalusing? Friends of Wyalusing are always looking for past photos of the group as well as interesting notes about our history. Leave your recollections in the comment section found below this blog. A new photo album featuring photos from Wyalusing State Park of the 1990''s and 2000. Click here. If you know any information about these photos, please let us know. Watch the blog for more photo albums. To find the list of available albums, pull down the menu item: Photos. Speaking of the recent past; July of 2007 brought torrential rains to Wyalusing State Park. In one night, parts of the park were changed. Trails were washed out. Roadways were eaten away. Trees washed down the bluffs. Campers were awakened by rain beating through the tents and on the RV tops. Unfortunately, nature changed parts of the park. Now, more than a year later, reconstruction is underway. 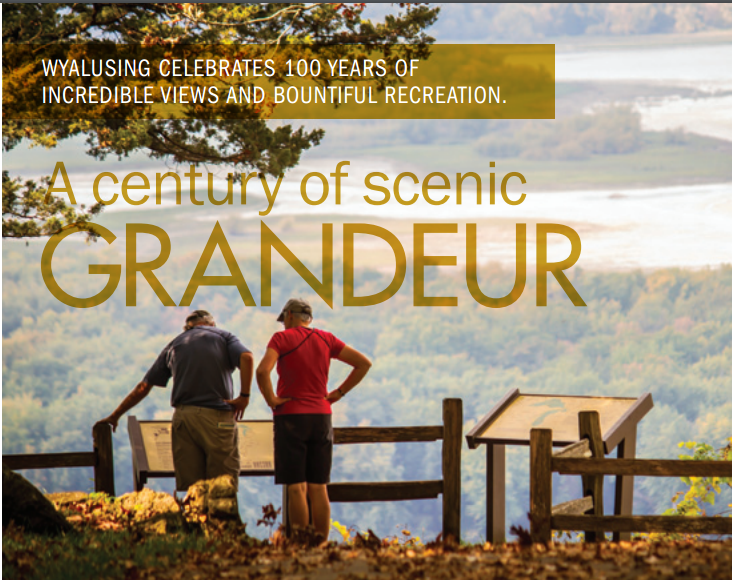 Through a grant, funding will be used to improve Sugar Maple Nature Trail, Sand Cave Trail, and the trail system on Wisconsin Ridge Bluff. 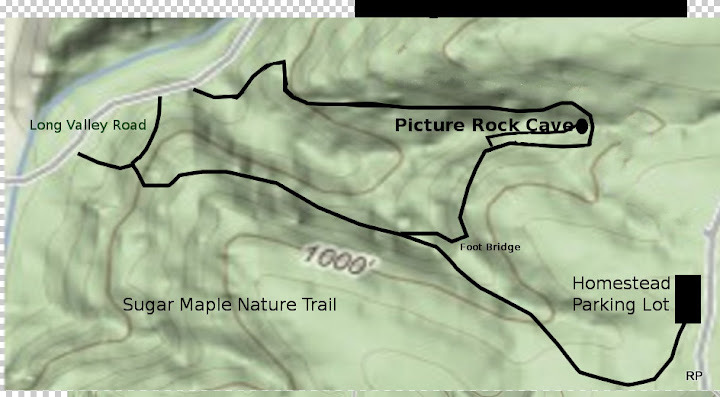 The first trail reconstruction will be parts of Sugar Maple Nature Trail. The plan is to have this trail opened before the end of this season. The trail is used by many school groups. It still provides a pathway to Picture Rock Cave. Blue and red streamers mark changes along parts of the Sugar Maple Nature Trail. Underbrush have been cleared away. Small machinery used to level the trails is the next step. This blog and photos will keep the reader up to date. Big plans are in the works to celebrate the completion of Sugar Maple Nature Trail. Take a look at the photo albums added to the blog. Directory is located in the menu under the heading. Newest Addition are photos from the 1940's, taken from album of Marion Walz. (Here) If you can identify some of the photos please let the blog author know via the following email friendsofwyalusing@gmail.com. Traditionally, the second Monday evening of each month is set aside for Friends of Wyalusing meetings. The agenda, as of this blog posting, has not been published...yet. Come and share in the idea exchange. Learn first-hand about your park. New, exciting things are coming to the park.